West Ham have had an illustrious history of nurturing and producing some of the best young players around in recent generations. The likes of Bobby Moore, Geoff Hurst, Frank Lampard and Joe Cole have all come through the East London club’s ranks, and now the Hammers are on the hunt for the next young stars. For nearly 5 years, the West Ham United Foundation has run a 2-year training and education programme for 16-18 year olds called the West Ham United Foundation Learning Academy, in partnership with SCL. Starting with small beginnings, the pilot squad had less than 20 learners - today they have nearly 160 learners attending the course, an impressive feat. Sam Taylor, Football Integration Manager at West Ham Foundation has seen the programme grow and has played an integral part in its set up. Sam grew up in the world of football. From age 9 to 18, Sam came through the ranks of West Ham United playing in the famous youth team that produced players such as Cole, Michael Carrick, Jermain Defoe and Glen Johnson. After spells with Darlington and AFC Bournemouth, Sam went onto play for over 12 years in non-league football representing Thurrock, Barking, Billericay, Boreham Wood, Bishop’s Stortford and Harlow, before finishing his playing career at Concord Rangers. Retired at 28, Sam got an opportunity to work as a part time coach at West Ham, where he was involved in the process of the club getting their Category 1 status. With the growth of the Foundation, he stepped across and with growth of the programme stepped up to more management of the programme. His invaluable experience from his playing days made him a perfect fit to help develop and nurture these young lads. Talking about the growth of the programme Sam told The FLP: “We try to improve every year, whether its facilities, equipment or staff, and SCL have matched that. It’s proof in the pudding that it does work. The academy team at West Ham United Foundation consist of a great set up for the football with daily training from highly qualified FA coaches and guidance on football fitness and nutrition. WHUFC coaching has been developed using the West Ham Academy philosophy of learning to play the ‘West Ham Way’. Couple this with a support network for the education from SCL consisting of tutors, curriculum managers, quality assessors and operations support, it’s a programme that’s hard to rival. Sam told The FLP: “In terms of support staff, we have got FA tutors that work with us from different counties, London, Essex, Middlesex, sometimes these guys come and work with the players. We’ve got our training and workforce programme. “We have a rotation policy; one coach will be assigned for matches but then we rotate that timely. Sadly, not every learner who comes on to the academy programme will go on to play football but West Ham United Foundation see the programme as an opportunity to give young lads a chance and through giving them an education, this gives them a backup plan and opens up other options. “I think keeping these guys engaged, giving them the education, and then giving them the chance to step up and perform at a sporting level, that’s the shouting point for the Foundation, who we may have lost years back. “We have had boys who have come on the programme from challenging backgrounds, whether it be family issues and not having the support, been in trouble with the police, and there has been a point in their life, where we have tried to affect as many of them positively as we can. A lot of boys who come on the programme soon realise that if they want to play at a high standard they are going to have to put in the work. Sam said: “Most boys will turn up because they want to be involved in the club at some sort of level, it’s our job to manage their expectations around what they are going to do, where they are going to go. “They have that elite environment where they can be pushed and it’s been great for lads who think they are somewhere, they step into a couple of sessions with the U18s and even the U16s and they understand where they have got to be and what targets they need to hit if they are going to be anywhere near that standard. 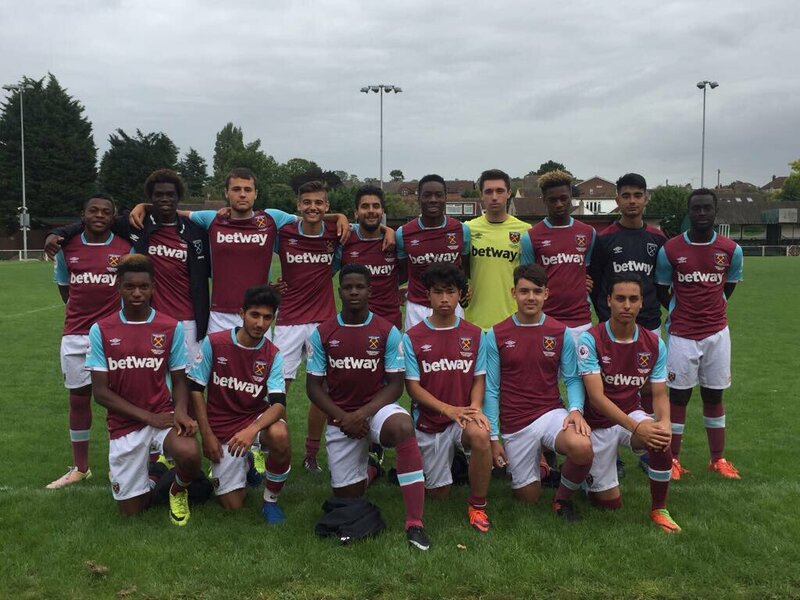 West Ham United Foundation and SCL pride themselves on monitoring learner’s development on and off the pitch. Sam told The FLP: “If someone excels on the pitch, great, you can potentially be in this squad, what are you like in the classroom? That’s when the tutor comes in and works with them. “If the boys are going to be effective with the football they need to connect to the education, we are constantly telling these guys, it’s education, education and the football comes secondary. “In terms of the education, definitely the boys are getting tested. Glenn Pennyfather, SCL Education Group tutor, told The FLP: “They are all keen to do work as well and they have the opportunity to learn in a fantastic environment. “They have had some great people come in and do talks and they realise this could lead on to a degree. West ham have really shown them the opportunities they could have if they work hard and get their head down. The programme boasts some great successes in both the academic and football arena. Sam said: “The exit routes and the work placements for them, that’s one of the most important parts of the programme. “When they came as a 16-year-old lad, they probably never thought they would get into coaching, education or mentoring. In my role, I am as happy to see that happen as much as some lads going round and travelling with the U23s. “Depending on what sort of route they want to go down; our Foundation degree tutor would have already spoken to most of our group. “Making these boys understand that, if this is the route you want to go down then you need to start speaking to Andy, these are the qualifications you need to hit. “Roque Nchaso, last year from our Chadwell programme got invited out to the Hong Kong for the HKFC Citi Soccer Sevens with a mixed U18s and U23 squad, then he got asked back to preseason training, played in a couple of pre-season games. “That’s a fantastic case study for us because Roque come over last year, wasn’t really involved in football. Off the back of that he got called out to the Equatorial Guinea national side. Steve Franks, Managing Director, Education and Training at SCL Education Group told the FLP: “We have been privileged to work with West Ham United Foundation for the last 4 years and have developed a fantastic working relationship with them. To find out more about the programmes West Ham run with SCL or if you know someone aged 16-18 years old would like to apply for the programme visit www.wearescl.co.uk/west-ham.